Commercial contracts are undoubtedly an essential instrument for business transactions. In fact, contrary to what some authors predicted in the mid-twentieth century, the 'demise of contracts' is a long way away. Commercial contracts are currently the most relevant tool to create, organise and carry out business. In Portugal, on the one hand, commercial contracts are used to incorporate and organise companies and to set up commercial ties and, on the other, to organise business in terms of production, distribution and arbitrage of goods and services in the market. a subjective act of commerce. as the cornerstone to identify the commercial nature of any given contract. combating late payment in commercial transactions: Directive 2000/35/EC of 29 June. Besides specifically regulated commercial contracts, Portuguese law also recognises the principle of autonomy as a fundamental cornerstone of the Portuguese legal system. This principle allows parties to agree and create commercial contracts, even if they are not specifically regulated by law. Based on this principle, business activity in Portugal is prone to creating new types of commercial contracts and importing models from abroad, in particular from common law systems. The Portuguese legislator has been trying to adapt the Portuguese legal system to the continuous technological developments of the information society in terms of commercial contracting. For example, Portugal has a specific legal framework regarding electronic commerce (Decree-Law 7/2004 of 7 January), which is the result of the transposition of Directive 2000/31/EC of the European Parliament and of the Council of 8 June 2000. The Portuguese legal system also provides different dispute resolution methods for commercial contract-related claims: from mediation and arbitration (ad hoc or institutional) to the specific expeditious procedure to collect commercial debts arising from commercial contracts (Decree-Law 269/98). To sum up, Portugal recognises the importance of commercial contracts for business. It is constantly trying to adapt to the demands of the information society and offers several dispute resolution methods to bring and defend commercial contract-related claims. The Portuguese legal system comprises several different methods of establishing or forming commercial contracts, which both Portuguese scholars and courts recognise. The basic rules for establishing commercial contracts in Portugal are as follows. First, the general rule under Portuguese commercial law is that commercial contracts can be entered into informally – no writing or other form is required. However, several specific Portuguese laws currently impose formal requirements on specific commercial contracts (e.g., bank contracts and lease agreements). 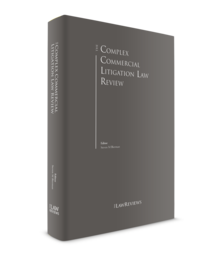 The number of specific laws imposing written form in commercial contracts is so high that many Portuguese scholars claim that there has been a clear return to formality in commercial law. Regardless of the legal requirements in terms of form, the trend in Portugal, in particular regarding commercial contracts between high-level companies, is to voluntarily use the written form. The Portuguese legal system has also adapted formality requirements for e-commerce (Decree-Law 290-D/99 of 2 August and Decree-Law 7/2004 of 7 January). Second, under Portuguese law, and as a general rule, commercial contracts can be drafted in any language, regardless of the nationality of the contracting parties (except for specific contracts such as insurance contracts or consumer contracts). Third, as in many other jurisdictions, commercial contract formation in Portugal is frequently preceded by a period of intense preparation, discussion and negotiation between the contracting parties. In this period – commonly called the pre-contractual stage – the contracting parties usually enter into pre-contractual agreements. Conversely, there are pre-contractual agreements that simply oblige the parties to make their best efforts to reach an agreement. However, the parties are entitled to not execute the contract. Examples of these agreements are: letters of intent, memoranda of understanding, agreements in principle, heads of terms, etc. In spite of the right to not execute the contract, these agreements can give rise to pre-contractual liability (Article 227 of the Portuguese Civil Code) if one of the parties breaches its obligation to make its best efforts to reach an agreement (e.g., by unjustifiably and unreasonably ending the negotiations). In this case, the non-breaching party can claim compensation. Moreover, some pre-contractual agreements are binding and create obligations for the parties, such as promissory agreements, pre-emption agreements, option contracts and side agreements (e.g., confidentiality agreements, lock-out agreements and standstill agreements). Fourth, during the pre-contractual stage, parties are, in general, subject to information duties, particularly in banking, consumer, insurance and financial intermediation contracts (for example, in intermediation contracts the financial intermediary must provide all the necessary information for a clear and justified decision to be made – Article 312 of the Portuguese Securities Code). Fifth, after this pre-contractual stage, commercial contracts are formed. Traditionally, a commercial contract was formed through the traditional approach of offer and acceptance. However, in general, commercial contract formation in Portugal does not currently follow that traditional approach. In fact, there are several approaches, such as joint contracting (similar offers from the contracting parties that are inserted in a single document executed by both parties) or factual bargain (a contract that is formed exclusively based on the behaviour of the parties). Sixth, in Portugal, commercial contract formation currently also includes mass contracting and other modern forms of contracting, such as distance contracts (Decree-Law 143/2001 based on Directive 97/7/EC of the European Parliament and of the Council of 20 May 1997); e-commerce (Decree-Law 290-D/99 based on Directive 1999/93/EC of the European Parliament and of the Council of 13 December 1999); automatic contracting (e.g., vending machines) and self-contracting (markets, etc.). Seventh, under Portuguese law, a fundamental rule to contract formation is that silence cannot be considered, in general, as acceptance. However, in certain areas of commercial contracts, silence can be considered acceptance (e.g., in relation to confirmation letters). Silence should not be confused with acceptance by conduct, that is, when the conduct of the parties indicates acceptance and a clear intention to be bound by the contract. In fact, although silence has no value, a particular conduct (for example, acts towards executing a commercial contract) may be deemed equivalent to tacit acceptance. This also applies under Portuguese law. Eighth, under Portuguese law, proof of commercial contract formation can be based, in principle, on any means of evidence, except when the law requires a specific form for a particular commercial contract. Therefore, as explained above, according to Portuguese law, a commercial contract can be executed verbally. Ninth, in general, once created, commercial contracts cannot be modified unless the parties so agree. However, Portuguese law grants the parties the right to request the court to modify or terminate a commercial contract in the event of an atypical change of circumstances (Articles 437 to 439 of the Portuguese Civil Code). This legal mechanism is, however, very demanding and strict. Therefore, it is not uncommon for parties to commercial contracts to include force majeure clauses and hardship clauses. Finally, the trend in Portugal is to consider that, if a company's business is transferred, the commercial contracts regarding said company's business are automatically assigned to the new owner of the company's business and the consent of the other parties to the contracts is not required. In Portugal, choice-of-law principles are, hypothetically, determined by Regulation (EC) 593/2008 of the European Parliament and of the Council of 17 June 2008 on the law applicable to contractual obligations (Rome I). According to Rome I and, as a general rule, parties are free to choose the applicable law. The law that the parties choose will govern the contract unless the right to choose the law is limited or restricted by other provisions of Rome I (e.g., Article 3 (3)). If the parties do not agree on the applicable law, the rules of Rome I will apply to determine the applicable law. Should Portuguese law apply to a commercial contract, Portuguese rules on interpretation will also apply. According to Portuguese law, the fundamentals of contract interpretation are as follows. In general, if the true will of the parties is known, the meaning of the contract is valid in accordance with such true will (Article 236(2) of the Portuguese Civil Code), regardless of how the parties express such will. In principle, a party can resort to any type of evidence to prove the true will of the parties (i.e., documentary evidence or witness evidence). the behavioural element (the conduct of the contracting parties). In other words, the interpreter – the courts – will rely and consider all these elements when establishing the meaning of a contract or contractual clause. With regard to formal commercial contracts (i.e., those in written form), the purpose or intention of the contracting party must be stated in the contract with a minimum correspondence, even if in a deficient, rudimentary or imperfect way (Article 238 of the Portuguese Civil Code). This is known as the minimum correspondence test. For example, a lease agreement is subject to this interpretative standard because it constitutes a formal agreement (Article 3 of Decree-Law 149/95). However, even in formal contracts, the real intent of the parties can prevail if the grounds determining the form of the agreement do not hinder the prevalence of such a meaning (Paragraph 2 of Article 238 of the Portuguese Civil Code). Under Article 237 of the Portuguese Civil Code, if the meaning of a commercial contract is ambiguous or dubious, it must be interpreted in a way that guarantees an adequate balance between the parties' mutual obligations. However, there are specific rules for interpreting adhesion contracts. In fact, in the event of ambiguous general contractual terms, the prevailing meaning is that which is more favourable to the party adhering to the contract (Article 11 of Decree-Law 446/85 of 25 October). It is not unusual for parties to commercial contracts to include a merger clause. However, under Portuguese law, this type of clause does not automatically render prior statements or agreements irrelevant and thus they may still be used as a means of interpreting the contract. Finally, if something is not expressly regulated in the commercial contract and no special provision applies, this gap must be filled in accordance with the hypothetical intention of the parties had they foreseen such gap or according to good faith principles (Article 239 of the Portuguese Civil Code). In Portugal, there are no specialised commercial courts with authority to adjudicate disputes related to commercial contracts. Hence, disputes regarding commercial contracts are, in principle, heard by regular civil courts. Although there are some specialised courts in Portugal such as the chamber of commerce, the competition court and the intellectual property court, none of them have, in principle, jurisdiction to hear disputes regarding commercial contracts, except for the inexistence or nullity of memoranda of association. The competition court, in principle, only has jurisdiction to hear appeals regarding decisions by the Bank of Portugal or the Portuguese Competition Authority. The intellectual property court has jurisdiction to hear disputes related to industrial and intellectual property. Court fees related to judicial proceedings are calculated on the basis of the value under dispute. For disputes exceeding €275,000, the parties also have to pay additional court fees, which are calculated as a percentage over the amount of the dispute exceeding the €275,000 threshold and can be very significant (for example, in a dispute of €275,000, each party will have to pay court fees in the amount of €1,632. However, if the amount in dispute adds up to €20 million, each party will have to pay €241,434 regarding court fees). The party that obtains a favourable verdict will be reimbursed for the court fees it has paid at the expense of the other party, plus 50 per cent of their legal fees, but must file an application for that purpose at the end of the proceedings. In Portugal, there is no specific threshold to litigate commercial contract disputes in court. However, the amount in dispute is relevant to determine, on the one hand, which regular civil court has jurisdiction to hear the dispute, and on the other, whether the party has the right to appeal. In fact, parties only have the right to challenge a decision before the appeal court if the amount in dispute exceeds €5,000. The amount in dispute must exceed €30,000 to be eligible to appeal to the Portuguese Supreme Court. Disputes regarding commercial contracts involving €2,500 or less will be heard by specific courts called Julgados de Paz. These courts were created to encourage parties (whether or not represented by a lawyer) to actively participate in the procedure and settle their disputes. Portugal also has a special commercial debt collection procedure called injunção (regulated by Decree-Law 269/98 of 1 September). This procedure was designed to claim monetary debts arising from commercial contracts and starts with the claimant filing a standard form (claiming the debt), followed by the debtor being summoned. If the debtor does not settle the debt or files an opposition brief within 15 days, the claimant is granted an enforcement title. If the debtor files an opposition brief, this procedure develops into ordinary proceedings. In Portugal, parties to a commercial agreement can, in principle, agree on a provision granting jurisdiction to a specific court to hear any dispute related to the agreement. The validity of the provision is scrutinised in accordance with Article 95 of the Portuguese Civil Procedure Code. However, alternative dispute resolution methods are clearly on the rise in Portugal – in particular, arbitration (either ad hoc or institutional). In fact, the Portuguese Constitution allows for the creation of arbitral tribunals as an alternative dispute resolution method. Currently, arbitration in Portugal is regulated by Law 63/2011 of 14 December, which follows, in general, the UNCITRAL Model Law on International Arbitration. In practice, the current trend in Portugal is for commercial contracts between medium-to-large companies to contain an arbitration clause. Parties generally opt for institutional arbitration. A well-known arbitral institution in Portugal is the Arbitration Centre of the Portuguese Chamber of Commerce and Industry. In commercial contracts with foreign investors, it is standard practice to appoint an international arbitral institution (e.g., the International Chamber of Commerce or the London Court of International Arbitration). 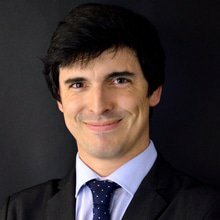 Finally, recourse to mediation is also being encouraged in Portugal to solve disputes related to commercial contracts (Law 20/2013 of 19 April). However, in our experience, mediation in Portugal still requires further development. Under Portuguese law, standards of performance require, in general, that a party to a contract performs exactly what he or she undertook to do (point by point of the contract). This standard of performance is called princípio da pontualidade in Portugal. Besides this standard of performance, Portuguese law also requires that the parties to a contract, when fulfilling their contractual obligations, comply with good faith principles. Commercial contracts are subject to this general standard of performance with some other specific features. One of these specific features is the principle of conformity. In fact, inspired by Article 35 of the United Nations Convention on Contracts for the International Sale of Goods, Portuguese scholars understand that goods delivered pursuant to a commercial contract must meet the quantities, quality and other features established in the contract. Based on this principle of conformity, Portuguese scholars also believe that the classic model of commercial contracts based on caveat emptor (i.e., the buyer alone is responsible for checking the quality and suitability of goods before a purchase is made) has evolved into a caveat venditor model (i.e., the seller is responsible for checking that the quality and suitability of goods meets the standards set out in the agreement). This evolution is especially evident in consumer contracts (Decree-Law 67/2003). Any of these breaches may – under certain circumstances – entitle the creditor to terminate the contract or claim compensation for damage. that there is a causal link between the (illicit and intentional) act and the loss or damage suffered by the creditor. In relation to contractual liability, the defaulting party's culpability is presumed. However, the defaulting party may rebut this presumption. The loss suffered by the non-breaching party includes both actual loss and loss of profits. Although Portuguese law includes a rebuttal presumption in terms of culpability, the party claiming compensation has the burden of proving the existence of a breach of contract, the loss or damages and the causal link between the act and the loss or damage suffered by the creditor. All means of evidence are valid to this end. In practical terms, the most common evidentiary issue is proving the existence of loss or harm. Under Portuguese law, if the non-defaulting party terminates the commercial contract, how compensation is to be calculated is a contested issue. The traditional view is that compensation should restore the non-breaching party to its position before the commercial contract was executed. However, the current view is that compensation should be calculated in such a way that the non-breaching party is put in the position he or she would have been in had the commercial contract been properly fulfilled. The difference between both approaches is quite substantial. Portuguese courts tend to favour the traditional approach, although relevant contemporary scholars prefer the new approach. Parties generally present several defences to avoid the enforcement of contractual obligations or challenge claims for breach of contract. One of the most common defence mechanisms is to argue that, based on the facts, there was no breach of contract. This is a purely factual argument that is common in Portuguese litigation. Parties to a commercial contract usually also allege liability exemption for breach (Article 428 of the Portuguese Civil Code) as a means of defence. In fact, a party to a contract may, owing to the other party's breach, be entitled to consider himself or herself released from all liability to perform his or her own obligations. For instance, in supply agreements, it is common for parties to raise this defence to claim that they are not obligated to pay for the goods because they are defective. With regard to debts arising from commercial contracts, it is common for parties to resort to compensation as a means of defence in order to settle – or, at least, reduce – the debt (Article 847 of the Portuguese Civil Code). In addition, parties to commercial contracts may also claim that the performance of their contractual obligations is impossible in order to be released from having to fulfil them (Article 790 of the Portuguese Civil Code). However, this impossibility should not be mistaken as the debtor's difficulty to comply with its contractual obligation. In this case, the debtor is not released from its obligations. It is also common for parties to allege a lack of required legal form to claim that the commercial contract is unenforceable. However, upon checking certain requirements, Portuguese courts tend to consider that raising this argument constitutes an abuse of law. Under certain circumstances, parties may also argue the existence of an unusual change in circumstances to require the court to modify or terminate the commercial contract and, therefore, release them from their contractual obligations (Article 437 of the Portuguese Civil Code). In Portugal, it is not unusual for parties to include limitations of liability in commercial contracts. If such a clause is included, the liable party will certainly use this clause as a secondary defence mechanism. However, under Portuguese law, limitations of liability (exclusion or reduction) are only valid in cases of minor negligence. Finally, it is not uncommon for parties to argue that the commercial contract breaches public policy, and thus that it should be declared null (Article 281 of the Portuguese Civil Code). The concept of public policy is obviously wide and, in general, Portuguese courts tend to be strict when applying it. In Portugal, parties to commercial contracts usually file business tort claims to avoid their enforcement; that is, as a type of defence mechanism. In such circumstances the parties claim the existence of fraud when the contract was negotiated and request that it be declared null (Article 253 of the Portuguese Civil Code). Under Portuguese law, fraud constitutes any deliberate misrepresentation of the truth or the concealment of a material fact to induce another to act to his or her detriment. Fraud claims are subject to a limitation period of one year as from the moment the party first became aware of the fraud. However, under Portuguese law, some commercial cunning is often not considered to be unlawful. The parties may also allege the existence of a factual error to claim the nullity of a commercial contract (Article 252 of the Portuguese Civil Code). A factual error is an inaccurate fact that is material to a specific transaction. As in the event of fraud, claiming the existence of a factual error is subject to a limitation period of one year as from the moment the party became aware of the error. The parties may also claim the existence of an error in a contractual statement, that is, a divergence between the contractual statement and the true will of a party (Article 247 of the Portuguese Civil Code). However, under Portuguese law, this misrepresentation is only relevant if the other party is aware or should have been aware of the essential nature of the element regarding which the party made an error. This figure is also subject to a limitation period of one year as from the moment the party became aware of the error. Parties may also allege that the agreement is an absolute simulated contract and request that it be declared null (Article 240 of the Portuguese Civil Code). An agreement is considered simulated when two parties agree to execute an agreement that does not reflect their true intent with the purpose of deceiving a third party. However, simulated contracts may not be relied upon against good faith third parties (Article 243 of the Portuguese Civil Code). Within the scope of a commercial sale and purchase contract regarding a specific object (not related to consumers), the parties are also entitled to request the annulment of the contract if it is defective. However, to this end, the party must inform the seller of the defect within 30 days of becoming aware of it and within six months of receiving the object. The claim to annul the contract must be filed within six months following notification of the defect (Article 917 of the Portuguese Civil Code). The specific legal framework regarding the sale and purchase of defective products is often considered to apply to the sale and purchase of businesses (and even to the sale and purchase of the share capital of companies). In this context, it is not unusual for parties to include anti-sandbagging clauses in contracts to ensure that the buyer cannot bring a legal action against the seller in the event of a breach of warranty of which the buyer was aware before closing. Finally, with regard to fraud and misrepresentation, the injured party may also claim compensation for damages. In the event of a breach of a commercial contract, the Portuguese legal system grants several remedies to the non-breaching party. It may, in principle, file declarative proceedings and request specific performance in order to compel the breaching party to actually perform a contractual obligation (Article 817 of the Portuguese Civil Code). If the declarative proceedings are successful, the creditor can then file enforcement proceedings against the debtor if the latter does not voluntarily comply with the judicial decision. The non-breaching party may also claim economic compensation for damages from the breaching party (including loss of profits) resulting from the breach of contract. However, in Portugal, damages are not punitive but compensatory. The non-breaching party may also terminate the commercial contract in the event of a breach. However, under Portuguese law, termination is only lawful if the non-performance of the contract is serious and definitive (mere delayed performance (mora) does not, in principle, grant the right to terminate). In the event of delayed performance, the non-breaching party will only be able to terminate the contract if it is no longer interested in the contract being performed or if it has given the defaulting party a fair warning to cure the default. In the event of termination, the non-breaching party can claim economic compensation for damage. However, as mentioned, how compensation is calculated is a contested issue in Portugal. Finally, non-breaching parties may also resort to interim measures – which are urgent judicial proceedings in Portugal – in order to safeguard their interests while the main proceedings are ongoing (for example, to seize the debtor's assets). Portugal clearly recognises the importance of commercial contracts for business. Influenced by EU legislation, the Portuguese legal system and practice in terms of commercial contracts has been constantly adapting to the new forms of contract formation (mass contracting, e-commerce, etc.). There is clearly a trend in the standard of performance of commercial contracts from the principle of caveat emptor towards the principle of caveat venditor. This trend is especially evident in Portuguese consumer contracts law. As regards how compensation for damage is calculated in the event of termination of the commercial contract, this is still a contested issue in Portugal. A relevant portion of contemporary scholars (but not case law) favour a calculation method under which the aggrieved party is put in the position he or she would have been in had the contract been performed in full. This new trend may influence case law in the coming years. 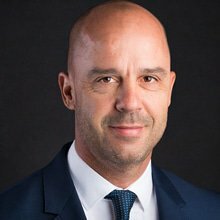 Finally, in terms of litigation involving commercial contracts, owing to the delay and uncertainty surrounding litigation in the civil courts, the general trend in Portugal is to resort to arbitration to solve disputes, in particular regarding agreements between medium-to-large companies (including foreign investors). We believe that this trend will become more prevalent in Portugal in the near future. 1 Fernando Aguilar de Carvalho is a partner and Daniel Bento Alves is a senior associate at Uría Menéndez - Proença de Carvalho.